MIND'S EYE MANUFACTORY is a place to take what is in one's imagination and make it with one's own hands. 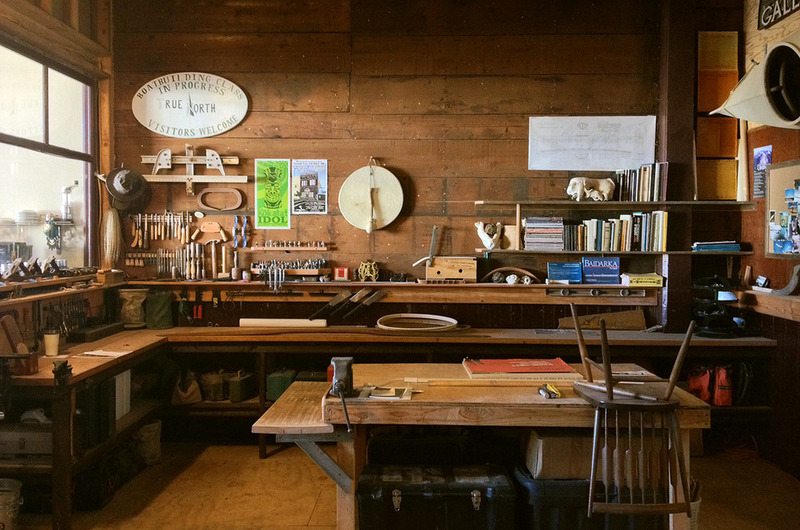 A school of the "maker's arts," we feature an inspiring, well-equipped workshop and knowledgable staff to help you realize your vision. Founded in 2011 by husband-and-wife team Marc and Leah Daniels, our shop is intended to be inhabited by several craftspeople, each with their own section of the space. Marc's own True North Boats currently has its headquarters here. We also play host to a variety of community projects, including the annual Pumpkin Carving to benefit the AMAYSING Grace Foundation. To learn more or to make an appointment, call Marc at 707 834 3893 or send us a message.